Once you approve the designs, I'll take care of the execution of your pieces, working with the finest printers to guarantee the highest quality. 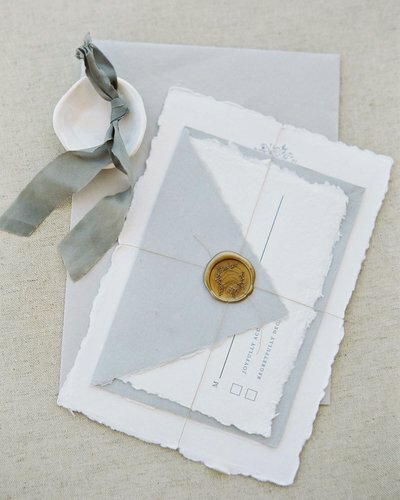 I'll then address your envelopes and assemble everything and mail it to you or your guests (if you pick this option). The process starts with a questionnaire and a consultation so I can get to know you as a couple and understand your aesthetic and vision. I'll send you a proposal and quote crafted for your specific needs. If you decide to move forward I'll curate a mood board with the inspiration for your design and create loose sketches with concepts for your stationery. All my custom packages include unlimited rounds of sketches and 3 design proofs to make sure you're thrilled with your design before we start printing. 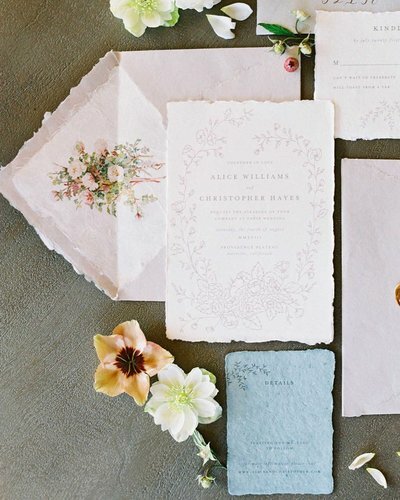 Your wedding stationery is much more than just paper: it should tell your story, evoke a mood and give your guests a preview of your wedding day. 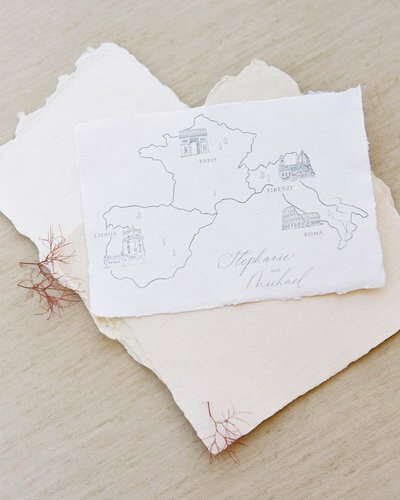 With intentional designs, original artwork and attention to the smallest details, I'll create heirloom invitations, save the dates and day-of paperie that are truly unique to you and reflect who you are as a couple. All calligraphy and illustrations are done by hand and will never be used for another client, and I'll walk you through every step of the project to make this a fun and enjoyable experience. Investment varies greatly depending on printing methods, add-on details, materials and number of pieces. 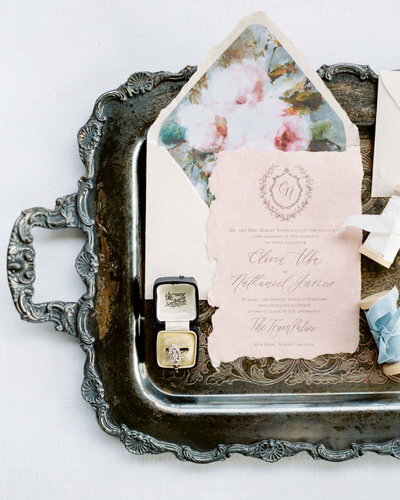 Most Plume & Fête couples spend between $3,000-$5,000 for 100 custom invitation suites (invitation, RSVP card and corresponding envelopes), including design, printing and envelope addressing. All custom stationery requires a minimum investment of $2,000 regardless of the number of pieces needed. Follow along for more of my recent work, behind the scenes and wedding inspiration.